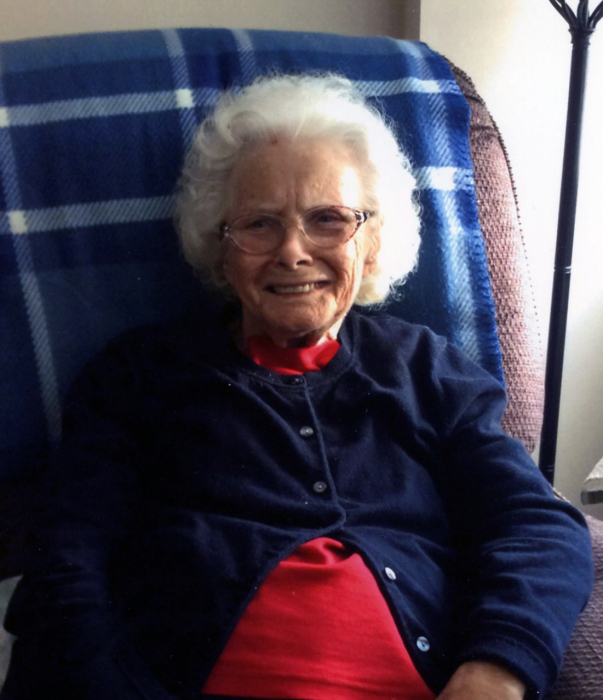 Frances E. Johnson, age 89, of Christian City in Union City and Corinth Road Personal Care Home, passed away on Friday, January 25, 2019. She was born on July 24, 1929, in Fayette County, GA, to Wilbur and Margie Lucille (Creamer) Thomas. She was a member of Alcova Baptist Church in Lawrenceville and past member of Piney Grove Baptist Church. She belonged to the Lawrenceville Masonic Lodge #131 F. & A. M. Order of the Eastern Star. She retired from Scientific Atlanta and the Walmart in Lawrenceville (Collins Road). She was preceded in death by her husbands, Wilson Trawick and George Randolph Johnson, sister, Ophelia Bowlden, and brothers, Junior and Steve Thomas. She is survived by: sons, Marvin Trawick and his wife, Irena, of Springboro, Ohio, and Buford Trawick and his wife, Cindy, of Fairburn; sister-in-law, Mary Nell Thomas of Newnan; brother-in-law, Bobby Bowlden of Fayetteville; four grandchildren, nine great grandchildren; three step grandchildren and numerous nieces and nephews. A funeral service will be held at 2:00 PM on Wednesday, January 30, 2019, in the chapel of Holly Hill Funeral Home. Pastors Greg Rawlins and Jerry Plott will officiate. Interment will follow at Inman United Methodist Church Cemetery. Visitation will be held prior to the service, from 12:30-2:00 p.m.